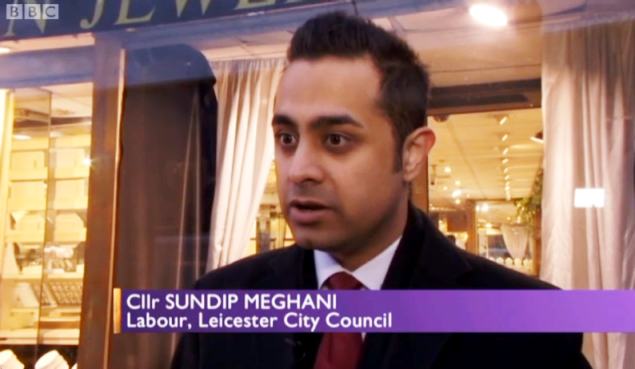 “I have decided to step down as a Leicester City Councillor in May 2015 to focus on my parliamentary election and my new full time job. It has been a huge privilege to serve as a Labour and Co-operative Councillor for my home ward of Beaumont Leys, the place where I grew up and went to school. I have worked extremely hard over these last four years to help local people and represent their views and interests on the Council. I was proud to sit on the planning committee and vote to rebuild my old secondary school, Babington Community College. I also raised money for charities in Beaumont Leys; opposed illegal traveller encampments on behalf of residents; highlighted the damaging impact of Tory and Lib Dem policies on my constituents; and sought to inspire the next generation. On behalf of the city more generally, I led efforts to save 200 policing jobs back in February 2012, and I spoke about policing cuts at Labour’s national conference. I also brought conferences to the city to boost business; pushed for a new riverside memorial space to scatter ashes; supported asylum seekers who had settled here; raised the issue of ever increasing homelessness; campaigned to reduce the amount of sugar in school meals; and stood up for Leicester when outsiders sought to create division. As the son and grandson of Ugandan Asian refugees it was a particular honour, on the 40th anniversary of the expulsion, to bring a motion in Council recognising the contribution Ugandan Asians have made to our city and our country. On a personal note it was also quite wonderful to drive my parents to the polling station on 5 May 2011 so they could vote for me – or at least they said they did! All of the above successes and the many other positive changes we have seen in Beaumont Leys and across our city have only been possible because we have a Labour-controlled Council here in Leicester, as well as three brilliant hardworking Labour MPs in Keith Vaz, Liz Kendall and Jon Ashworth. I have thoroughly enjoyed my time as a Councillor and I believe I have made a positive contribution. I would like to thank Liz Kendall MP, Cllr Vijay Riyait, my fellow Leicester Labour Councillors, and all my family and friends for their support and guidance. I also want to thank Beaumont Leys Labour members for selecting me, and Beaumont Leys residents for electing me, back in 2011. I will fulfil my duties for the remainder of my term but I will not be seeking re-election to the Council in 2015. Exactly a year ago today residents in Beaumont Leys voted to elect me as one of their local Labour Councillors to serve on Leicester City Council. It was a tremendous honour and a huge privilege to have been entrusted to represent the views of local people, especially as I’ve lived in the area since I was 7 years old. 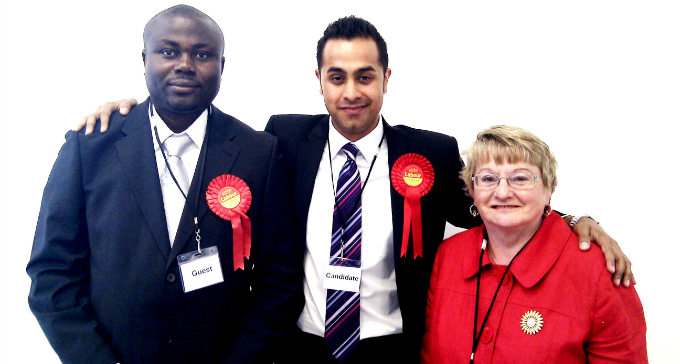 Also as the son of immigrants, who came to this country from East Africa fleeing persecution, and as someone who was born and raised on a council estate in Leicester, it was particularly poignant to have been chosen to serve on the very Council that had once supported me and my family when times were tough. Anyone who knows me knows that I love my party and my politics, but to be honest my love of politics merely stems from my love of people. That may sound like an awful cliché but it is the truth. In-fact I believe that if you’re not a people person and you don’t genuinely thrive on being able to solve problems and help make peoples’ lives that much easier, then you shouldn’t seek to hold public office. Whereas if you have a passion for putting people first, for lifting hopes and aspirations, for fighting social injustice, and for leading by example and working hard, then politics isn’t just a career choice, it’s a moral imperative; an obligation to use your skills and expertise to serve the public and to try and make a difference in the world. It’s been an incredible year and I’ve enjoyed every minute of it. I’m grateful to my good friend Vijay Riyait and all the wonderful people mentioned in this post who worked tirelessly on the election campaign. I’ve been fortunate to have two excellent co-Councillors in Vi Dempster and Paul Westley, as well as a good deal of support from our hardworking local MP Liz Kendall, and City Mayor Sir Peter Soulsby. It’s a real pleasure to be part of such a great Labour team. Appointed as a Member of the Leicestershire Police Authority and attended numerous Authority and sub-committee meetings. Delivered a speech on policing cuts at the 2011 Labour Party conference and discussed the issue with the Chair of the Police Federation. Raised the issue of policing cuts in the Council chamber as well as in the local, regional and national press. Led the Labour team at the Leicestershire Police Authority in fighting to save nearly 200 jobs and helping to secure neighbourhood and frontline policing. Attended a special conference on the ‘Roots of Violent Radicalisation’ hosted by the Home Affairs Select Committee and Leicester East MP Keith Vaz. Together with co-Councillors, approved funding for a local police community safety shop at the Beaumont Leys shopping centre. Continued to work hard as a school governor at Soar Valley college and took on a new role as a governor at Beaumont Lodge primary school. Delivered a speech on achievement at Soar Valley College in Rushey Mead. Delivered a speech on aspiration at Babington College in Beaumont Leys. Attended a special conference on the application of new technologies in schools. Took up an appointment as a Member of Court at the University of Leicester. Attended summer fetes with co-Councillors at Glebelands primary and Beaumont Lodge primary schools, and the Beaumont Lodge Neighbourhood Association. Delivered a speech at the University of Leicester in support of the ‘Living Wage’ campaign being run by Labour Students. Helped set up and Chair a new community task group to tackle domestic violence in Beaumont Leys and Abbey. Actively supported the campaign to save the children’s heart centre at the Glenfield General Hospital in Beaumont Leys. Attended a special event organised by the Somali community in Beaumont Leys. 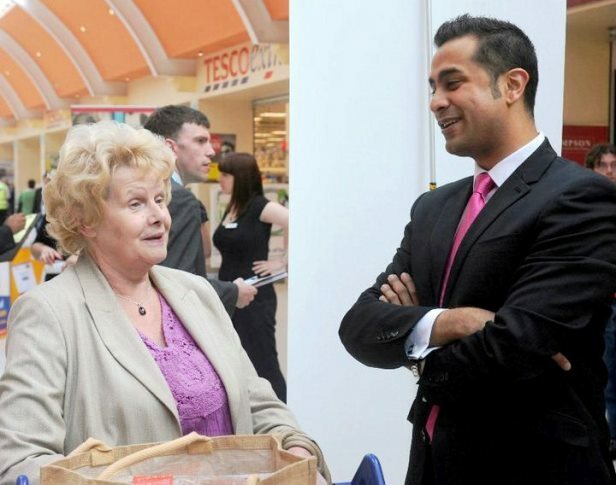 Launched the British Heart Foundation’s Big Donation event at the Beaumont Leys shopping centre. Attended the official opening of the new Beaumont ward at the Bradgate Mental Health Unit in Beaumont Leys. Visited a new locally-run free lunch club at Christ the King church. Voted at Planning Committee in support of modernising Leicester train station. Participated in a special climate change and water management conference. Worked with co-Councillors and local businesses to help tackle parking problems in parts of north Beaumont Leys. Became actively involved in the work of the Castle Hill Country Park user group. Attended a special conference on local transport policy in Leicester. Helped secure 11 new grit bins for locations throughout Beaumont Leys. Attended a special conference on student housing and future strategy. Wrote an article about increasing levels of homelessness and spent Christmas Day helping at a local homeless shelter to raise awareness. Voted at Planning Committee in support of the creation of new housing developments and student flats across the city. Hosted public meetings with fellow Councillors, the local MP and the Mayor to discuss traveller encampments and the on-going consultation on proposed sites. Agreed to join the board of the Cooke e-Learning Foundation, a Beaumont Leys based enterprise helping people to train for jobs. Attended a conference and dinner hosted by the Indo British Trade Council. Visited the Beaumont Leys Enterprise Centre to support local businesses. Spoke in the Council chamber on the economy and drafted an article on how the Budget will adversely affect Beaumont Leys. 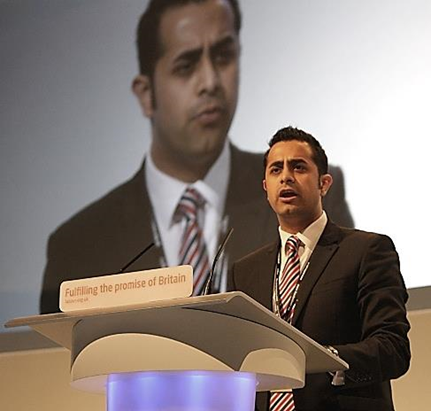 Hosted the 2012 HSBC English Asian Business Awards in Manchester and worked to secure Leicester as the 2013 host city. Lobbied the Foreign Office and raised the issue of the Sri Lankan civil war with Foreign Office Minister Alistair Burt MP. Attended numerous public events to oppose cuts to Legal Aid and lobbied the Solicitor General Edward Garnier QC MP on the issue. Attended a fundraiser in support of ‘Unique Home for Girls’, a charity caring for orphaned and abandoned girls. Visited the offices of Leicestershire AIDS Support Services and attended the annual World AIDS Day service at Leicester Cathedral. Attended the launch of a 3-day festival organised by the Pushti Nidhi charity. Met with Leicester Council of Faiths and attended events during inter-faith week. Visited numerous places of worship across Leicester belonging to all of the city’s main faith communities. Attended a concert of the Philharmonia Orchestra and an ‘Orchestra Unwrapped’ concert promoting music to school children. Attended ‘Out of Africa’; an annual celebration of African culture hosted by Harvest City Church. Attended an Inter-Cultural Evening hosted by the Chief Constable of Leicestershire Police. Attended a lecture on Hindu and Christian dialogue hosted by the Leicester Friends of the Oxford Centre for Hindu Studies. Thank you to everyone who helped campaign for Labour in Beaumont Leys: Vijay, Sam, Charles, Richard, Eileen, Chris, Hemant, Aryan, Jeevan, Dina, Leo, Suraj, Rupal, Jamini, Ravina, Leena, Mahboob, Sheraz, Asif, Tahir, Abdul, Shane, Sally, Matt, Naomi, Vijay, Chi, Jason, Michelle, Shaheen, Adam, Zaheer, Justin, Peter, Ashley, Tammy, Liz, Richard, Phillip, Jitu, Riad and Vikesh. You all made a really big difference!